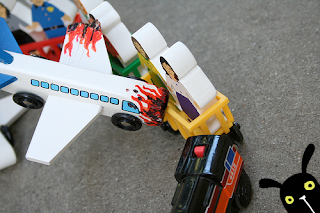 Saturday Morning Arcade LIVE - "05: Truth Bombs"
Hey remember last post how I said the last episode we recorded was a train wreck that collapsed over a busy highway and then conveniently had a plane crash into it... with a cherry on top? Do you want to hear that train wreck? Well, now you can! Normally, Fridays I do an alternative Hip Hop show for CFRE, but last week it ended up being a talk show featuring Saturday Morning Arcade and some awesome friends. A Mash-up of Jaren shows if you will. Who could have known it would actually foreshadow SMA LIVE's move to a new day and time? Last Week I was joined by Saturday Morning Arcade's Mark and Julian, Self Declared UTM Cake Expert Kim, and fellow CFRE DJ/The Magnetic Tape host Waj. For the first half we cover a spectrum of topics including Christmas, movies, daybeds, tardiness and cartoons. Halfway through it turns into full blown out Saturday Morning Arcade where we discuss our (potential?) game of the year and steam sales. If you're still up for random conversation and varying audio levels between the cast members, you can check it out here! You've been warned. This Friday, the regular cast will be broadcasting to you live around 2pm, and we may be joined by SMA contributor Rakush. Expect the normal conversation of what we've been playing and whatever noteworthy news we come across throughout the week. Really, it'll be a better semester premiere I promise! Ducktales has a special place in my heart. Not a big enough place for me to remember easily, but a place none the less! I use to have Ducktales books growing up, those were good times (especially when they played hockey). I still stand by my stance that Gargoyles was boring though. Whoops.